Wood degradation occurs when organisms attack and break down the cellulose, hemicellulose, or lignin structure within the wood. In the marine environment, marine borers and bacteria are the most common wood degraders found at shipwreck sites. Wood degrading bacteria to date have been characterized morphologically and can be functionally described as: erosion bacteria, tunneling bacteria, cavitation bacteria, pit degrading bacteria, and scavenging bacteria. The degree of wood degradation depends on many different factors including the species of wood, level of microbial activity, dissolved oxygen availability, and the site-specific environmental conditions (salinity, pH, temperature, currents, etc. ), among others. Wood degradation can also vary across a shipwreck site. For example, wood buried beneath the sediment line (creating an anaerobic environment) is typically better preserved than wood exposed to mechanical action (currents, sediment scour, anthropogenic activity, etc.) and aerobic microbial metabolism. Corrosion of a metal-hulled (iron or steel) shipwreck in the marine environment does not occur in a linear or uniform manner over time but instead can vary considerably across the site. As metals degrade in the presence of oxygen and water, an oxide-based corrosion layer forms between the interface of metal and seawater. Dissolved oxygen concentration, temperature, salinity, and pH of the seawater, and water flow around the wreck all influence the degree and extent of the corrosion layer. Variability in corrosion is largely controlled by oxygen availability, as it exerts significant selective pressure on the presence and activity of marine microorganisms, including sulfate reducing bacteria that may be found between the corrosion layer and the underlying metal, as well as other microorganisms. While microorganisms can form protective biofilms on the exposed metal and corrosion layer surfaces, species-specific microbial metabolic processes can also either accelerate or further reduce the corrosion process. In addition, localized removal of the corrosion layer or biofilm through mechanical damage or sudden change in the local physical or chemical environment, and ultimately the resident microbial community, can alter the rate of corrosion by reintroducing oxygen to the underlying metal. Microbial community structure and function on shipwrecks is not well understood due in part to their variability in composition across a site. There is much to learn about how these communities form in general, and how communities differ from shipwreck to shipwreck, and at various locations along a single shipwreck. What is known by scientists is that marine microorganisms are typically the first to respond to perturbations in the local environment, including contamination events (e.g. hydrocarbons or chemical dispersant from an oil spill). What this study hopes to achieve is a greater understanding of shipwreck microbial community structure and function, the role of biofilms in shipwreck stabilization and artificial reef formation, and microbial responses to hydrocarbon/dispersant exposure on wooden and metal-hulled shipwrecks in comparison with wrecks not exposed to external sources of these contaminants. Additionally, we hope to learn whether hydrocarbon/dispersant exposure affects resident microbial communities to the extent that wood degradation and/or metal corrosion accelerate or if this exposure instead imparts some level of protection by reducing these processes. Profile shipwreck coral microbiomes using Next Generation molecular approaches to assess population structure at oil exposed and unexposed (control) sites. Where feasible, current microbiome structure will be analyzed against pre-spill microbiome structure in samples collected by external colleagues pre-spill and/or from other geographic regions. Employ a systems biology approach to understand the interaction of microbial communities at the phylotype level with the surrounding environment (i.e., ship materials, corrosion potential, physicochemical conditions, and oil spill related contaminants). Identify gene function associated with metal corrosion, wood degradation and hydrocarbon metabolism at select sites to evaluate temporal changes and changes related to the spill. Conduct comparisons of the mineralogy and microbiology of rusticles from various shipwrecks to determine if site specificity exists. Conduct short term in situ experiments at oil exposed and control sites to monitor the impact of the Deepwater Horizon (DWH) spill on in situ corrosion rates, biofilm recruitment and population structure of primary colonizers on experimental platforms. Identify and quantify temporal changes in shipwreck site stability and degradation. Understand how the shipwrecks and their associated biological communities change over time (spill-exposed and non-exposed). Deploying experiment platforms for short term studies of in situ biofilm recruitment and corrosion processes. Up to ten shipwrecks will be investigated as part of this study: five wooden-hulled sailing ships dating to the 19th century (Ewing Bank wreck‎, Viosca Knoll wreck, Mica wreck, Green Lantern wreck, and Mardi Gras wreck), one wooden-hulled sailing ship pre-dating the 19thcentury (De Soto Canyon wreck), and four World War II-era steel-hulled vessels (Halo, Anona, U-166, Robert E. Lee). Most of hese sites were discovered and examined prior to the oil spill by archaeologists, though only a few have been visited since the 2010 spill. 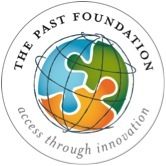 Potential impacts to archaeological resources are not considered by the Natural Resource Damage Assessment process and no other studies are investigating impacts to shipwrecks and other submerged cultural resources from the spill. These shipwrecks were selected for this study based on several factors: proximity to the 2010 oil spill area, availability of pre-spill data for comparison, proximity to known natural hydrocarbon seeps, similar date ranges for the metal-hulled vessels (World War II-era) and wooden-hulled sailing vessels (19th century), and comparable water depths. 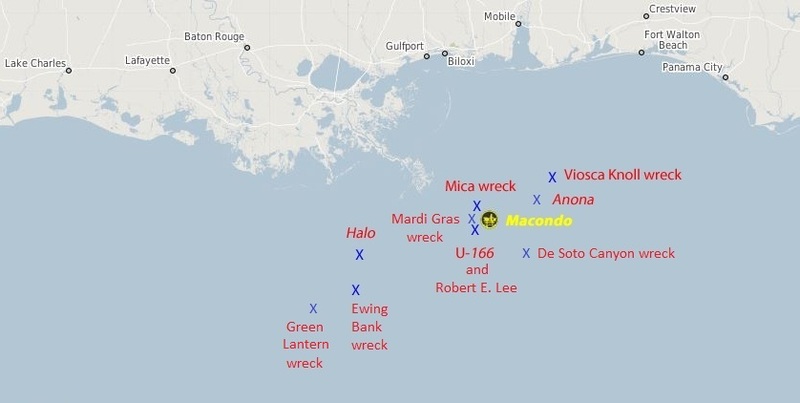 The Mica wreck, Mardi Gras wreck, U-166, and Robert E. Leeare within the spill area and are likely to have been exposed to Deepwater Horizon-related hydrocarbons and/or chemical dispersants. The Viosca Knoll wreck and Anona are within the spill area but it is not known if they were exposed to spill-related compounds. The De Soto Canyon wreck is southeast and downslope of the Macondo wellhead and it is unknown if it was exposed to spill-related hydrocarbons. The Ewing Bank wreck, Green Lantern wreck, and Halo are west of the spill area and are not likely to have been impacted by the spill. These three shipwrecks will serve as control sites for comparative purposes. Please check back throughout the trip for live updates from the ship. We will be posting live on our blog as well as on Twitter and Facebook. 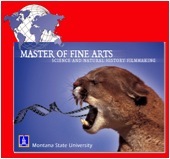 Don’t forget to check us out on Twitter and Facebook .